After months and months of hearing nothing from the insurance company we decided to engage The Voss Law Firm and we immediately got a response from the carrier. I would like to share with you our experience with the Voss Law Firm. They handled our case with professionalism, while keeping us in the loop about the case, but not overbearing us with all the little details. After months and months of hearing nothing from the insurance company we decided to engage The Voss Law Firm and we immediately got a response and a settlement on our claim. There was not a lot of paperwork to sign and they did everything for us. We got the money we were looking for and they are still pursing other claims that we had from Hurricane Ike. I look forward to doing business with Scott and The Voss Law Firm in the future, and I would recommend them to anyone. Solo quiero decir muchas gracias. Solo quiero decir muchas gracias por que siento que siempre fueron honestos con migo y mi fmilia y que siempre on echo lo major y no pienso dejarles a un lado en un future siento que siempre que, nesesite ellos los voy a tener como miv abogados gracias. Bueno en lo personal estoy sastifecho. Bueno en lo personal estoy sastifecho con su trabajo y es la primera vez que requiero de sus servicios y si volviese a estar en un caso similar acvdire a ustedes gracias. Estamos sastifechos con el trababjo realisado por los abogados. Estamos sastifechos con el trababjo realisado por los abogados de “The Voss Law Firm” Gracias por ser tan amables. I just can say thanks a lot. I just can say thanks a lot, you have been very professional and most important being polite. Mr. Voss treated me very well. Mr. Voss treated me very well. He recognized that I needed help and he got the job done. I would recommend his law firm to anyone who needs a top of the line lawyer and wants to be treated very good and get what they deserve. Thank you for great service...it has been real nice working with your firm. Thank you Mr. Voss. I hope to do business with your firm in the future. 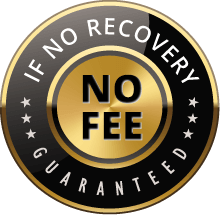 Overall this service has been very successful to my case, if I ever need you again I will use you and will refer your firm to anyone that needs an honest lawyer. Thanks for the great service. I was happy with the fighting, persistence and knowledge behind your team. I was happy with the fighting, persistency and knowledge behind your team. I felt great support and confidence. Communication was good. From the beginning your staff was very informative. I have never been in a serious car wreck until last year. I was given your number and told you were a great law firm. From the beginning your staff was very informative. Ivis answered all my calls and questions, she has been a wonderful help and is a great person. I thank you all for helping me in my time of need.